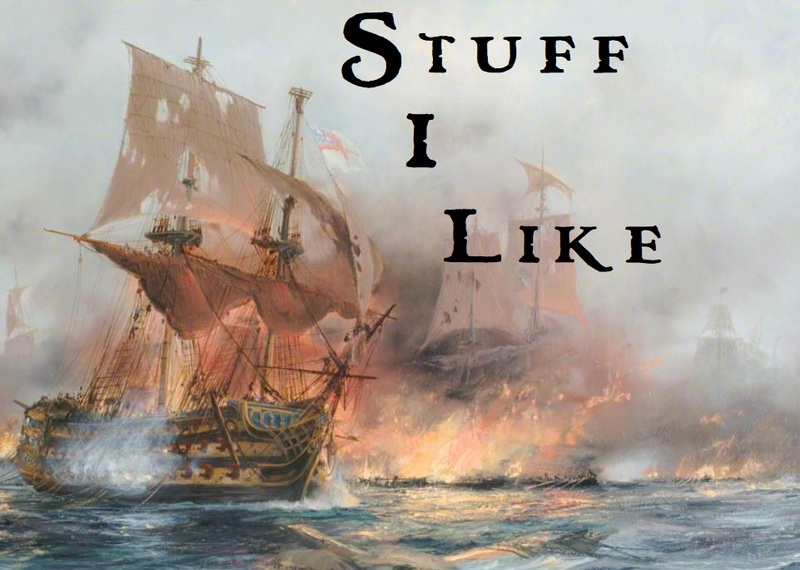 First, I just reviewed short stories published in June over at Black Gate. Some alright stuff, but I really dug Stephen Case's "The Unborn God" from Beneath Ceaseless Skies #150. It's got a single moment of really fun inventiveness that made me exclaim out loud. Really, it did. Any author who do that to me is worth paying attention to. 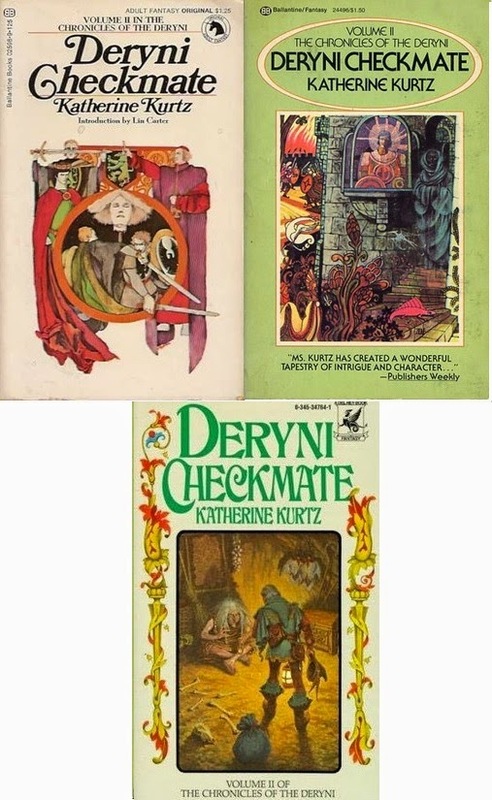 Next - Derek Kunsken posted an article at Black Gate about his love for the Deryni Chronicles of Katherine Kurtz and TSR's Dragon Magazine. My dad loved those books, or at least read all the ones published before 2001. For some reason I've never even picked them up. I have most of them. I still keep them on my book shelf in fact (admittedly, stacked in the back). 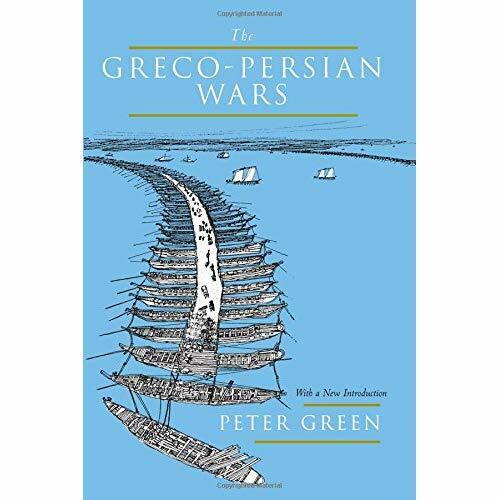 I've always loved the early covers by Bob Pepper and Alan Mardon. 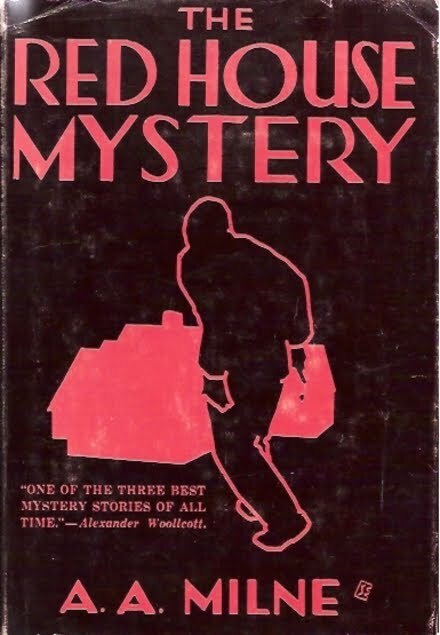 Later covers were done by Darrell Sweet. As much as I love him they don't compare. 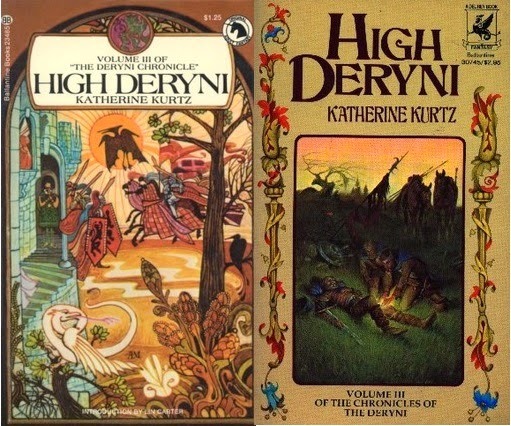 But here, take a look at the various covers for the first trilogy, The Chronicles of the Deryni. While I'm still listening to Dream Theater on my bike rides, at home and in the truck I'm listening to the Godfathers. I read once that Oasis was the first serious loud guitar band to hit the UK after punk's heyday in the late seventies. There's all sorts of reasons that's a load of bunk, but the very existence of the Godfathers is enough to trash the assertion. On four aggressively loud albums in the late eighties and early nineties, the first three produced by the great Vic Maile, the Godfathers produced some of the best rock 'n' roll of the time. Then they slipped away for sometime before finally resurfacing again a few years ago. I saw them back in 1989 for the More Songs About Love & Hate tour. They were one of the most forceful bands I've ever seen. Naked Raygun, whom I a big fan of, opened for them and were really solid. The Godfathers blew them away. A few folks tried to get a pit going for Raygun but it didn't amount to much. When the Godfathers hit the stage in their suits, things went wild and bodies went flying. I remember singer Peter Coyne sitting on the stage at one point just watching over the chaos unfolding on the floor. An amazing night of what I still want most from rock 'n' roll; chaos, urgency, noise and the hint that things might go terribly wrong. I'm also listening to another great band from the same time, The Screaming Blue Messiahs. While mostly known for their goofy novelty track "I Wanna Be a Flintstone" from the Vic Maile produced Bikini Red, these guys were way more than that. Singer/guitarist Bill Carter laid down some blistering, psychotic sounds on all three of their albums. I read on wikipedia that he'd play with his fingers and use the thickest strings possible to keep from shredding his fingertips too much. Still, blood would be shed when he played. My buddy saw them open for the Cramps for which I will always be jealous. When they broke up in 1990, Bill Carter seemed to fall off the face of the earth. Which is a shame. I saw Derek's post but didn't comment on it. Since the first Deryni books were published as part of the BAF series, they're on my list. I've been thinking about skipping ahead to the first one. I've never read them, either, although they were all over the place when I first started reading sf/f. 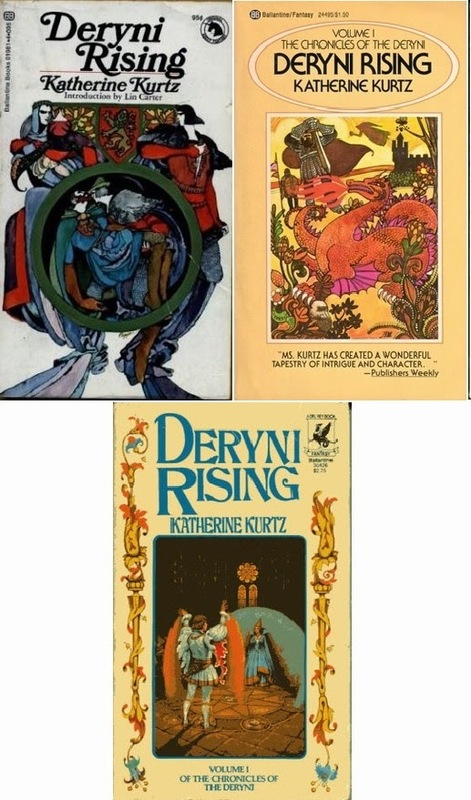 I personally like the DKS covers, but then his style was imprinted on me early when I was first reading adult sf because he did so many covers for Alan Dean Foster and other Ballantine authors. I'm looking forward to hear what you think of these. I've alway meant to read them and just never did. Don't get me wrong, I love DKS. I even like these, just not as much as the other artists' work. The covers for Hiero's Journey and Doomfarers of Coramonde are two of my favorite covers. I just like the older ones here better. Mardon drawing on medieval images seems more appropriate to the material. I hear what you're saying about the cover art and what fits best. Part of the appeal of the DKS covers for me is the nostalgia factor.